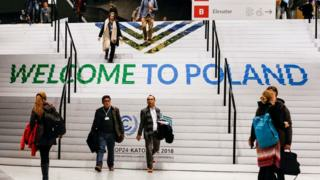 Scientists and many delegates in Poland were shocked and disappointed as the US, Saudi Arabia and Russia objected to this meeting “welcoming” the report. But negotiators here ran into serious trouble when Saudi Arabia, the US and Russia objected to the conference “welcoming” the document. “If there is anything ludicrous about the discussion its that we can’t welcome the report,” she said to spontaneous applause. “We hope that the rest of the world will rally and we get a decisive response to the report,” said Yamide Dagnet.